I hope you all had a fabulous, relaxing weekend! 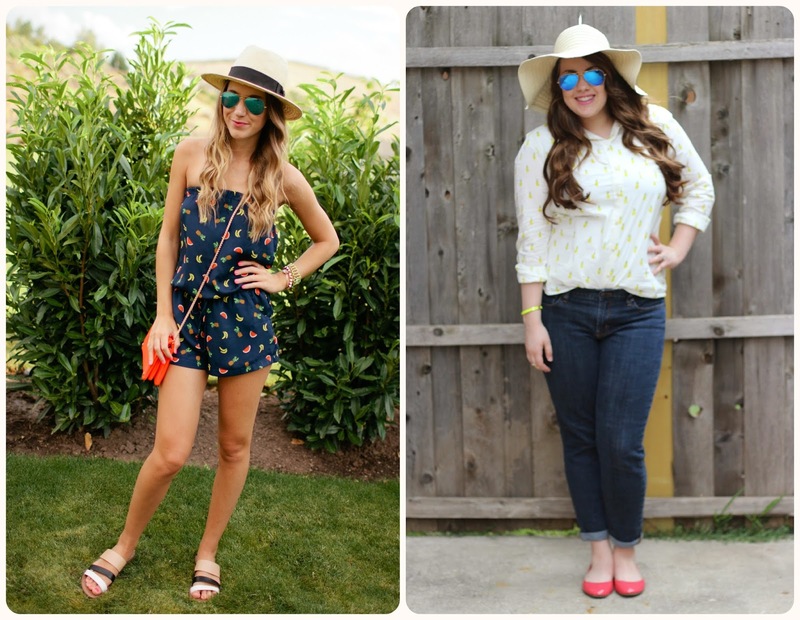 Today, I am teaming up with Lauren of Dressing Dallas to share our summer BBQ style! With summer in full swing, I’m sure many of you have attended a BBQ or two! I love that Lauren and I are both on the same page with fruity prints! You all know my love for pineapple, but let’s be real, I am loving any and every fruit print this year! Lauren’s button down is a great BBQ top to keep her cool and breezy and the added floppy hat is the perfect touch! I decided on a fruit printed romper that is super comfortable and lightweight and easy to slip on and off if swimming is involved! A hat, sunnies, slip on shoes and of course a few bracelets finished off my BBQ attire! What have you been wearing to your summer BBQs? Thanks for stopping by! Be sure to swing over to Lauren’s blog to check out more of her look from todays post! Purse: Tobi – sign up for 50% off your first purchase! 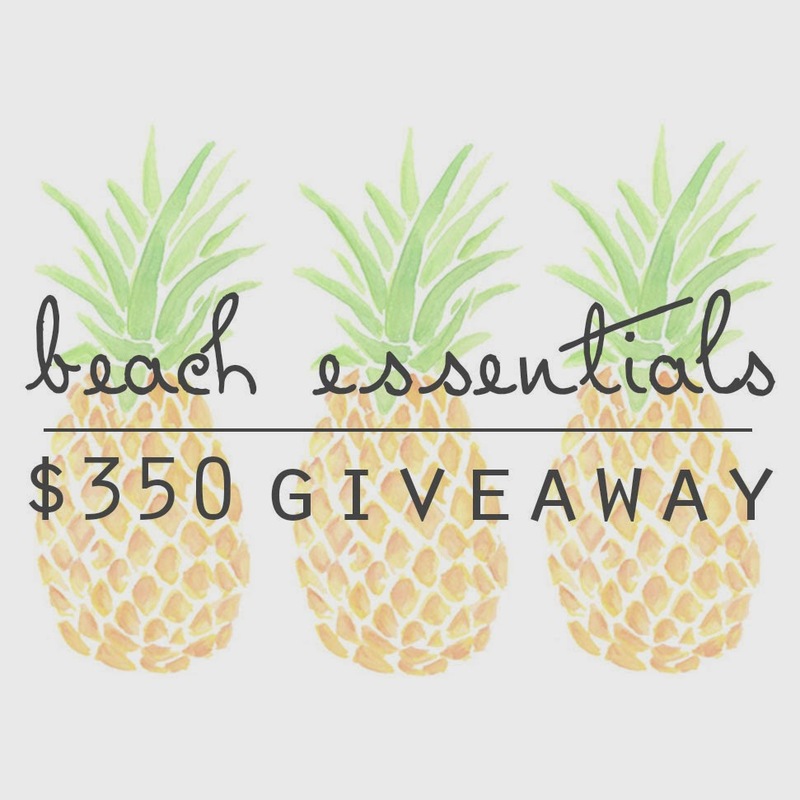 Only a few days left to enter the $350 Beach Essentials Giveaway! Love the romper! It really is perfect for a BBQ night! so cute! that romper fits you absolutely perfectly and the fruity print is too good! what a cute romper!! love love love it! Gosh you look darling! I love the fruit romper.